This isn't your average secondhand shop. 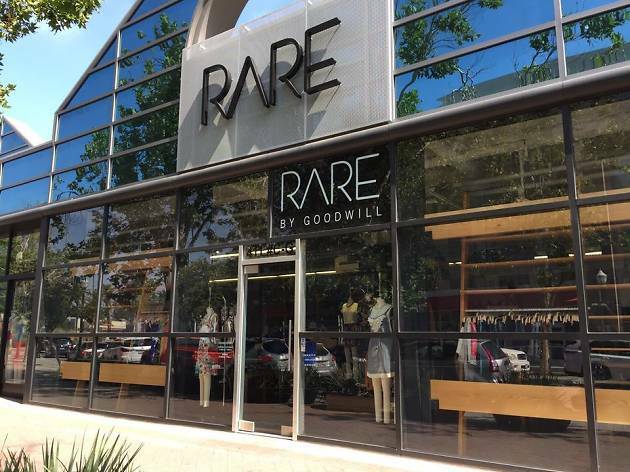 Stepping inside this Anaheim concept store is like walking into a hipster Anthropologie—exposed beam ceilings, designer labels dressing the mannequins, lounge-style vignettes for a mid-shopping repose and a Tumblr-worthy art piece that reads, "We are anything but ordinary. We are rare." Indeed. The shop, a unique concept from the non-profit organization, pulls the top designer, fashion-forward pieces from the Goodwill inventory into one expertly curated store. 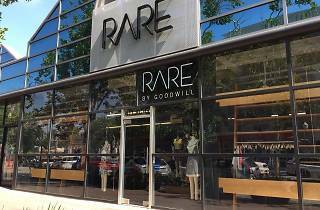 From Dolce Vita platforms to Missoni dresses to Louis Vuitton handbags, Rare is chock-full of coveted finds at a fraction of the price. Ralph Lauren dress? $9.99. Vince Camuto pumps? $8.99. Enough said. In store, also find a selection of home goods, vinyl and accessories.